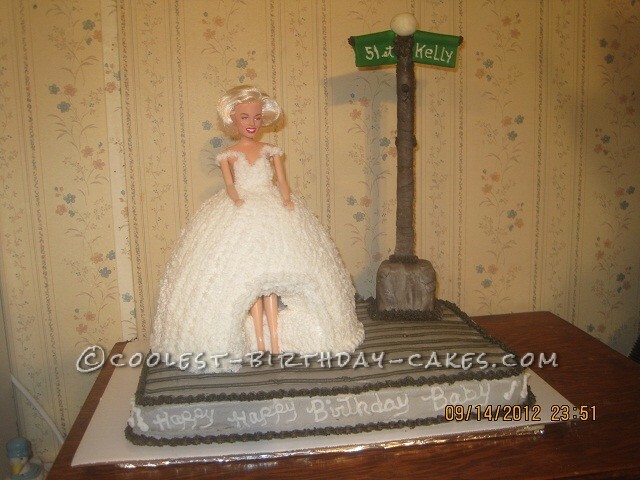 I was asked by a friend if I could make a cake for her sisters birthday that had a Marilyn Monroe theme to it. 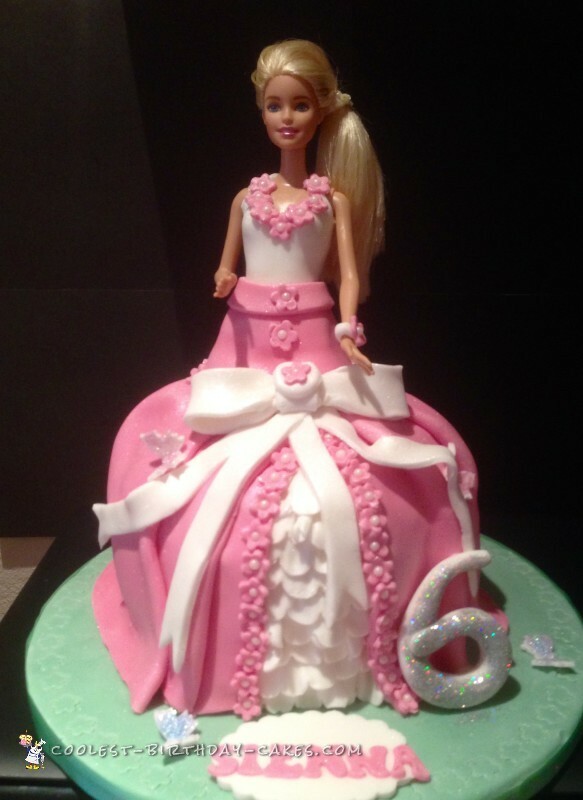 She also wanted to know if I could make it with a Barbie doll dress type cake because her grandmother had always made them doll dress cakes for their birthdays when they were little. We decided to get her a Marilyn Monroe doll from ebay and put her in the dress for her sister to keep as a gift. I thought about the most famous picture of Marilyn I could think of and came up with the scene where her dress blows up on the grate. I made the doll dress and cut a section out of the front to represent her dress blowing up. I made a small round cake to make the dress a little taller because the doll was full sized. (unlike the half bodied dolls usually used in doll cakes) She is standing on the street with the grate under her. On the street sign was her sisters name and age. When she presented it to her sister, she broke out in tears and everyone absolutely loved it. No one wanted to cut into it.